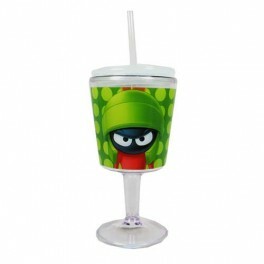 Marvin the Martian will vaporize you if he doesn't see you carrying around this awesome piece of drinkware! 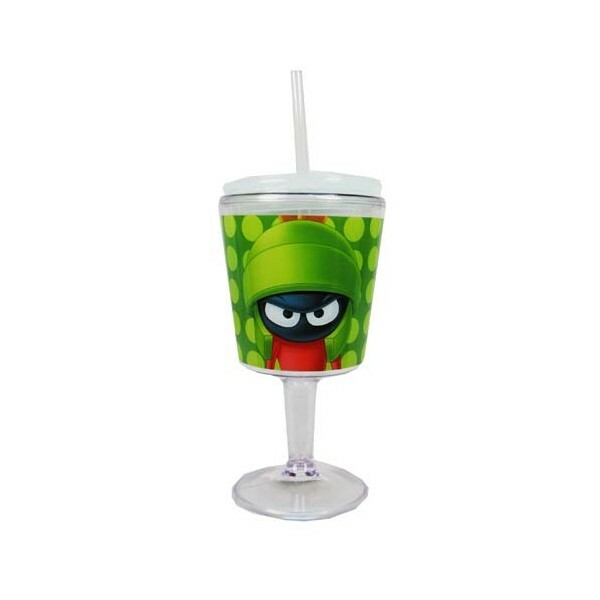 This Looney Tunes Marvin the Martian Insulated Goblet with Lid features a fun goblet shape with Marvin the Martian leering out at you. Marvin the Martian will vaporize you if he doesn't see you carrying around this awesome piece of drinkware! This Looney Tunes Marvin the Martian Insulated Goblet with Lid features a fun goblet shape with Marvin the Martian leering out at you. Complete with handy-dandy lid and straw, this goblet is even insulated so it can help keep your drink cold! Hand wash only. Not dishwasher safe. Do not microwave.